Integrated tools and processes to increase guest satisfaction and revenue. Identify operational & service improvements & effectively manage internal processes to ensure changes are implemented across your organization. Manage and improve your online reputation with our powerful cloud-based solution. 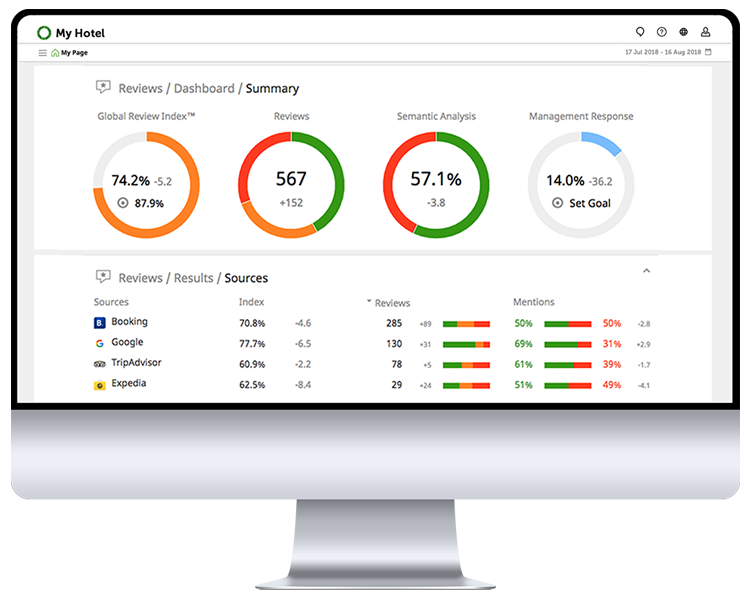 Deliver better guests experiences and increase your rankings on review sites and OTAs. 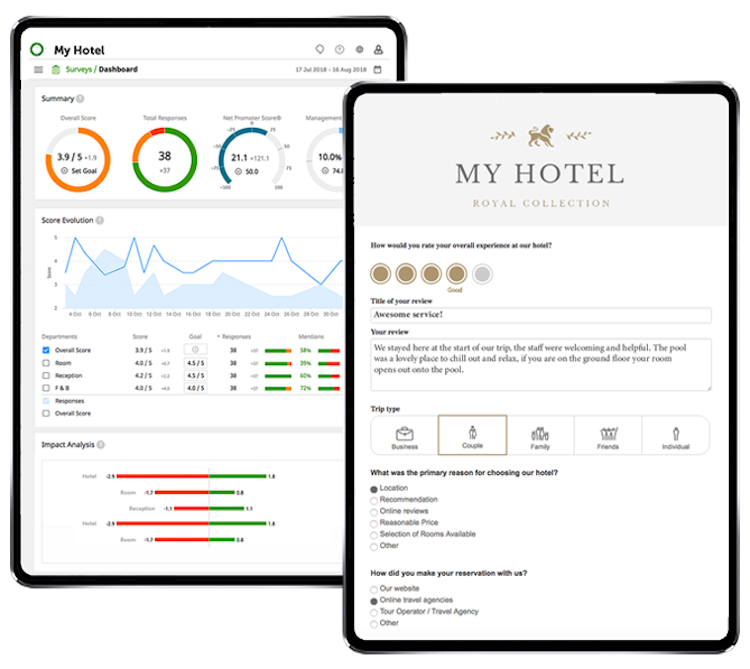 Gather valuable feedback direct from guests with our customizable surveys. Turn insight into action and watch guest satisfaction, revenue and demand grow. 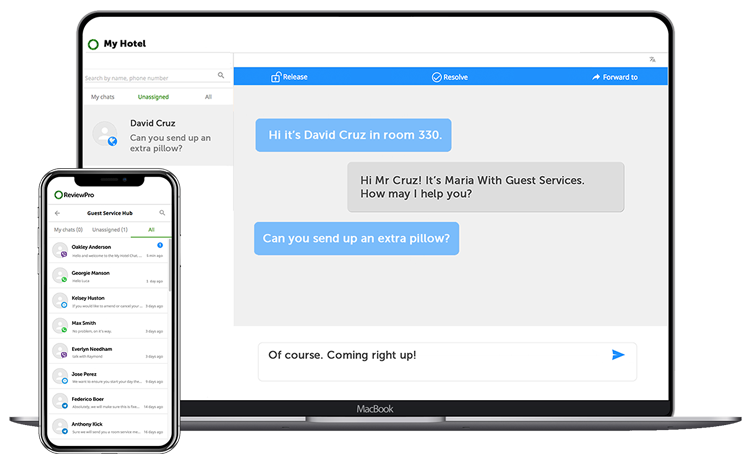 Communicate with guests in real-time on the messaging service of their choice from one easy-to-use central hub. Create auto-replies and saved answers to increase efficiency and ensure speedy responses. 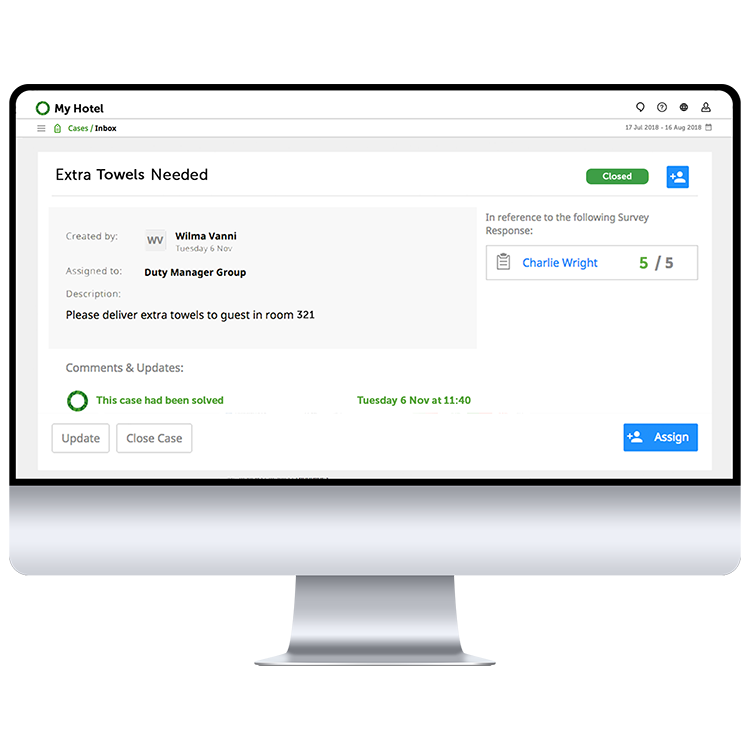 Automate follow-up on guest feedback, assign duties and track completion. Prevent negative reviews and earn rave reviews by ensuring the timely resolution of guest issues.